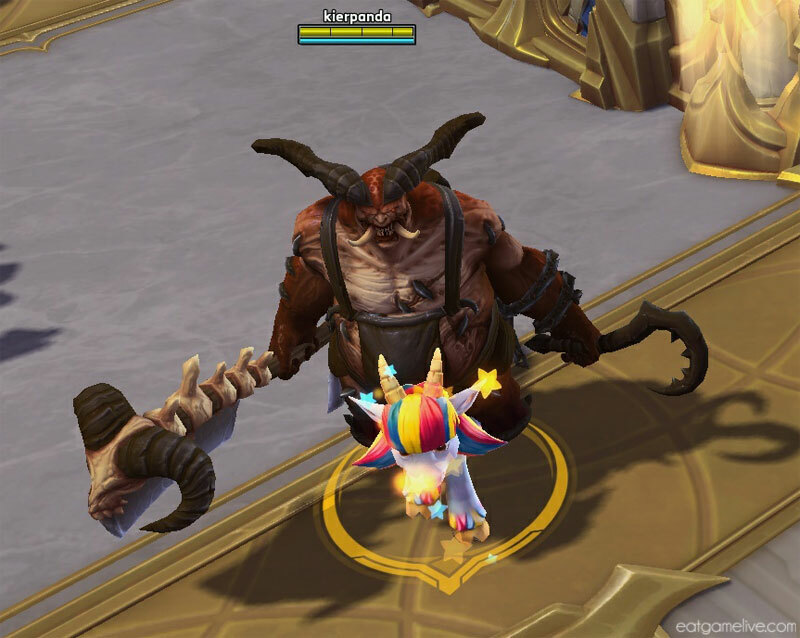 When I found out the Butcher was stomping his way into the Nexus, I was over joyed. Thankfully, the wait is over and you can now enjoy everyone’s favorite meat-crazed demon in Heroes of the Storm! He’s one of the most memorable bosses from the Diablo series, and when I first started playing Diablo III, I thought the Act I fight against him was pretty awesome. You basically run the risk of being completely engulfed in flames if you can’t kill him before his enrage timer. 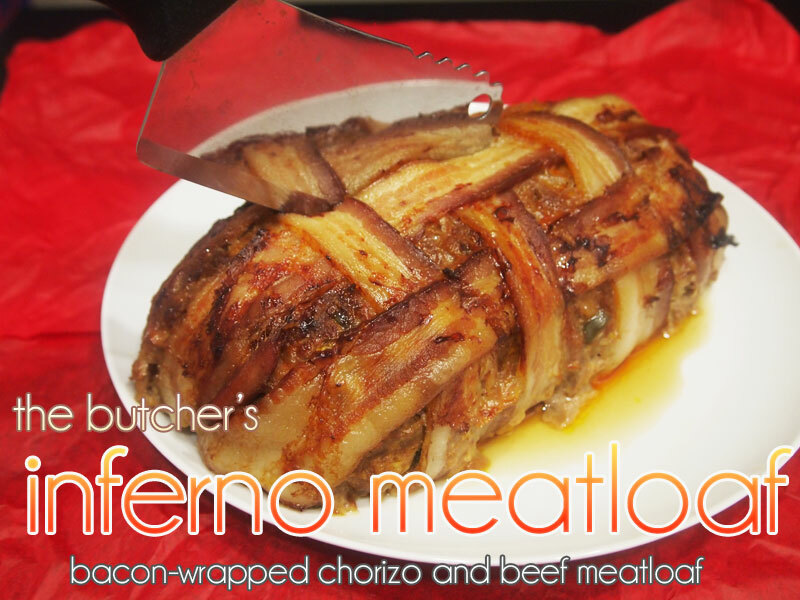 Anyway, since I don’t have a BBQ grill, I decided to create a different type of meaty treat. 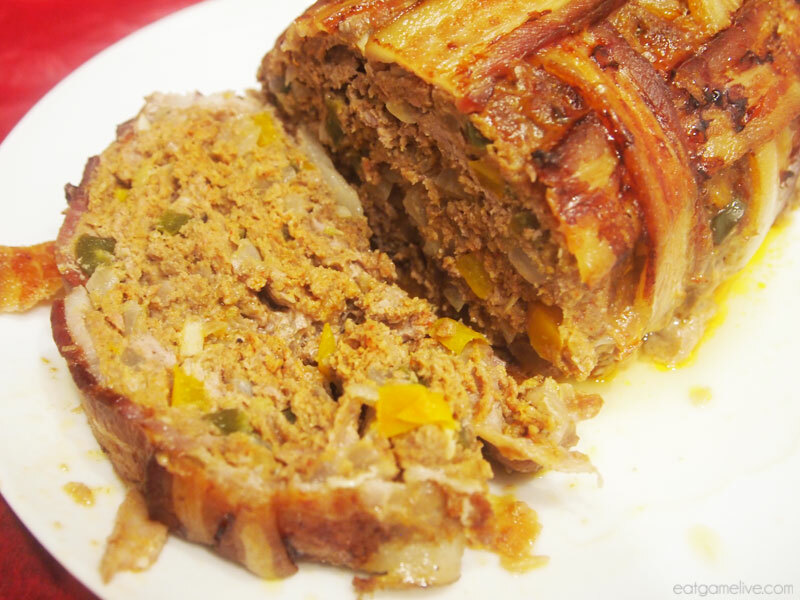 It’s a spicy little meatloaf full of FRESH MEAT! VEGETABLES BAD. MEAT GOOD! And because The Butcher lives in such a sizzling place, I decided to add a little heat with some fresh jalapeño peppers. Of course, that is only Torment I level spice… If you wanna bump it up to Torment VI, add in some habañero. But if you want to go to Torment X, I suggest you try getting your hands on some crushed Ghost Chili Peppers and some Trinidad Scorpion Chilies. Prep time for this recipe is about 45 minutes. Total cook time is 1 hour 10 minutes. This makes about 5 servings. Set a pan on medium heat and add in your olive oil. Sweat your diced onions and garlic. Remove and set aside. You’ll want them to cool before adding them to your meat mixture. 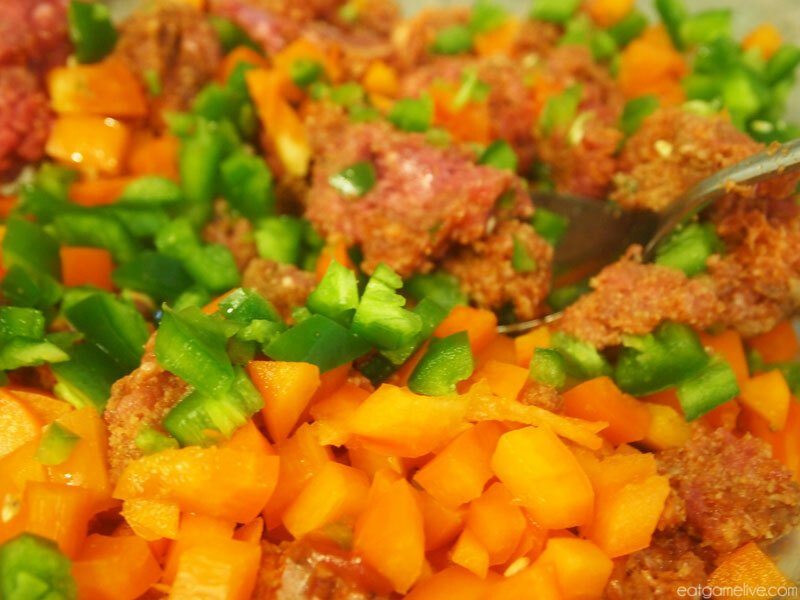 In a bowl, combine your chorizo and ground beef. Season lightly with your salt, pepper and cumin. Since the chorizo is already spiced, you don’t need to add that much more seasoning. Add in your worcestershire sauce and ketchup. Stir to combine. Add in your egg and bread crumbs. Stir to combine. Add in your diced bell pepper and jalapeño peppers and stir. You may have to use your hands at this point to make sure the mixture is thoroughly combined. Line a baking sheet with foil. 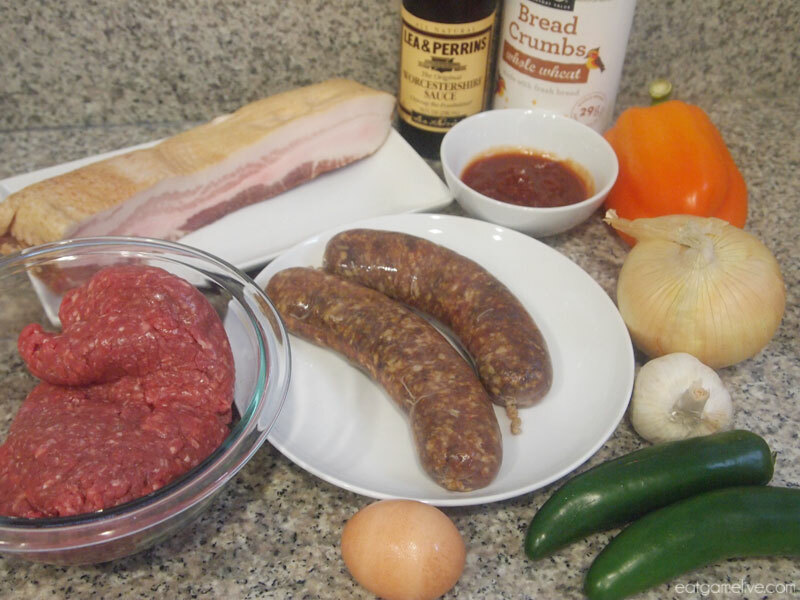 Remember, this dish has chorizo AND bacon, so there will be a A LOT of fat and oils! Make sure your dish is properly lined to reduce clean-up! 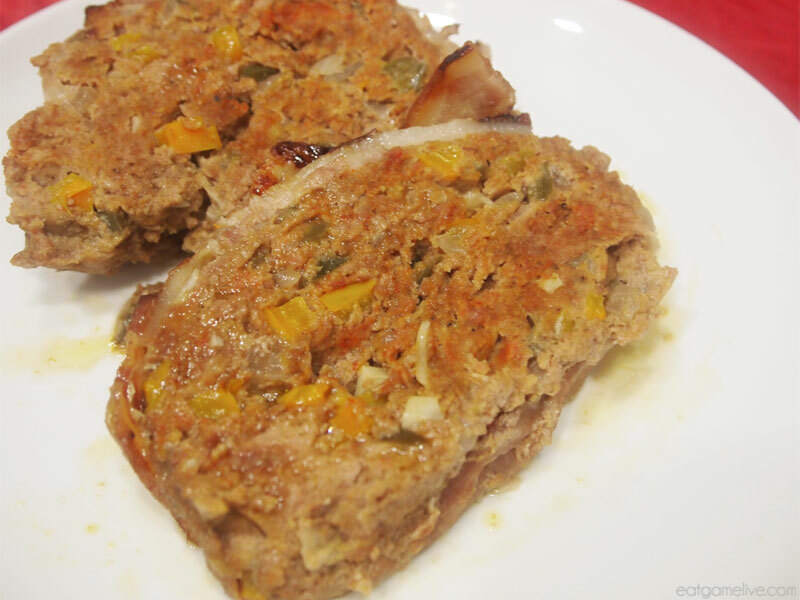 Pour your meat mixture onto the baking sheet and form it into a loaf. 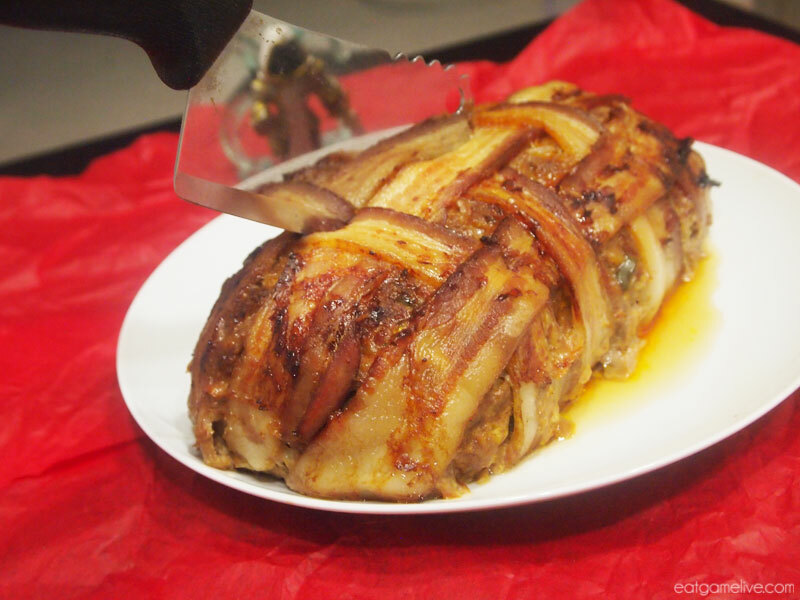 Now comes the fun part: create a bacon weave over your meatloaf! 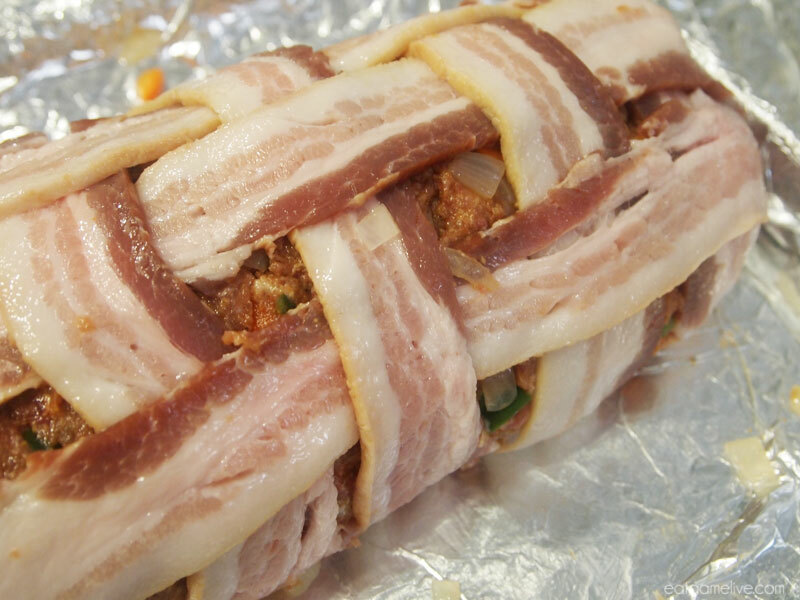 If you don’t want to create a bacon weave, you can wrap the bacon around the meatloaf in any way you’d like. 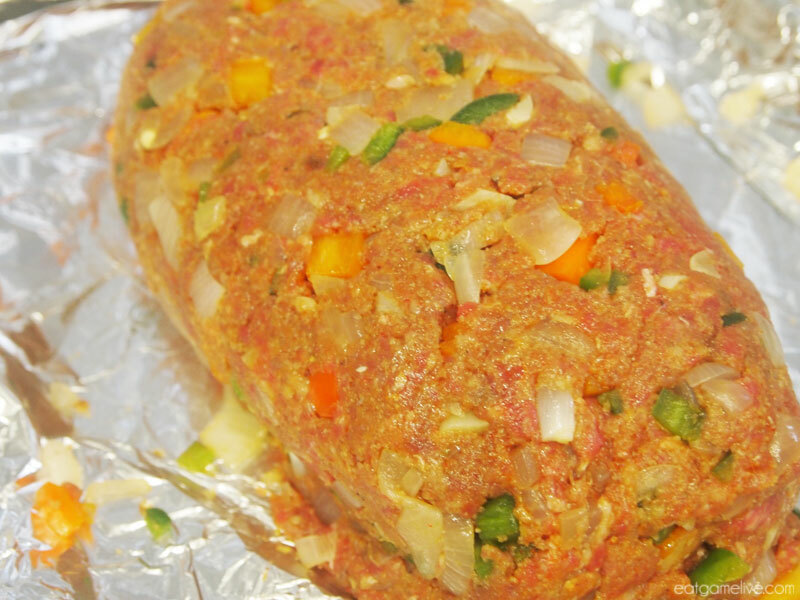 Place the meatloaf in the oven and cook for 1 hour and 10 minutes, or until the internal temperature hits 160°. Now you’re ready to serve this meaty meal to your fellow Nephalems in Sanctuary or your team of Heroes in the Nexus! Just make sure you don’t let Tyrael get to this… You know how he is about eating. See you in the Eternal Conflict! This entry was posted in diablo, heroes of the storm and tagged bacon, blizzard, diablo, Diablo III, heroes of the storm, meat, meatloaf, pc gaming, the butcher by admin. Bookmark the permalink. Yes! You can absolutely make this heat-free by removing the jalapeños and substituting the chorizo for a milder pork sausage. If your girlfriend is allergic to bell peppers too, you can use another vegetable like carrots or celery.